Michael Cunningham, the Pulitzer-prize winning author of The Hours, has written a blistering critique of a recent Sam Smith profile published in The New York Times. He cried when he talked about the house he grew up in; when he reminisced about a crush who turned on him; when he talked about his first voice teacher. He cried when he talked about writing “Pray,” a song from his new album, “The Thrill of It All.” He cried when he talked about the children he met in Mosul, Iraq, on a recent humanitarian mission, and then he looked down at the sparrow tattoo he got on his arm when he returned home, with “Be good, be kind” written in Arabic beneath it, and he cried again. He cried talking about how much he cried when he watched the movie “Inside Out.” And he cried when he talked about love. When he talked about love, he leaned back on the couch with his limbs splayed and looked upward as if he died momentarily just considering a concept so big. Yes, the floodgates really opened once Mr. Smith began to talk about love — big, delicious tears that coated and magnified his sad, glorious blue eyeballs but never quite leaked out onto his cheeks. Do you think there’s something subliminally homophobic about the profile, or is Michael Cunningham upset over nothing? Sound off in the comments below. I was onboard for era of the first album — which was by no means perfect but showed great promise. I had high hopes for him devoloping as an artist. However, he has showed no such development; if anything regression. Not even his voice is distraction enough (Indeed the vocal ticks are now more appatant than ever) for the lack of writing and imagination. Totally used up his bag of tricks. +10 for using the word “lachrymosity” in a sentence on here. Guys who cry that much deserve to be mocked. Smith also declared himself to be “non-binary” and he should be mocked for that as well. Hopefully, other media will pile on. What a sad, weepy clown. So, Michael Cunningham is uncomfortable that Sam Smith was brought to tears throughout the interview and the interviewer chose to share his sensitivities with the reader. Sam Smith is not all gay men and has the right to cry as much as he wants during interviews no matter how uncomfortable it makes you. The only behavior that should be representative of you, is your own. Get over yourself dear. If the dude cried during every story he told then that’s what happened and there should be no issue with reporting it. The New York Times is not a gay-friendly newspaper. It even ran a poorly researched article once that claimed male bisexuality did not exist. Its obituaries have sometimes failed to mention that the deceased was in a homosexual relationship. The New York Times is a fading, failing newspaper in an overall sense. What a shock, the troll account that tried to defend Roy Moore molesting a child in Alabama is trying to veer off topic to attack the NYTimes as anti-lgbt. I thought Sam Smith was a lesbian. What a bunch of bigots! Is Sam upset with the article? No then neither am I. New rule: if the person that may be offended isn’t, then we shouldn’t be either. All I know is, the album wasn’t that good. I get where Michael Cunningham is coming from, but maybe the Sam Smith the writer chronicled is really like that. Maybe the journalist could have focused on something else, like how Smith acts when he’s putting on his favorite sweater–oh wait, he might start crying–or when he walks out of his door to begin a new day–OK, so that might make him cry too–or something else that didn’t provoke such tearfulness. But maybe that’s just him, and that’s OK. Maybe the next NY Times article can focus on super-butch gay men who barely emote and make all the homophobes feel really comfortable. Oh wait, they don’t calm the homophobes either! Does this make Michael Cunningham one of the 70+% who are turned off by effeminate gay men (like Sam Smith, maybe?)? Should we be alarmed?? ….. 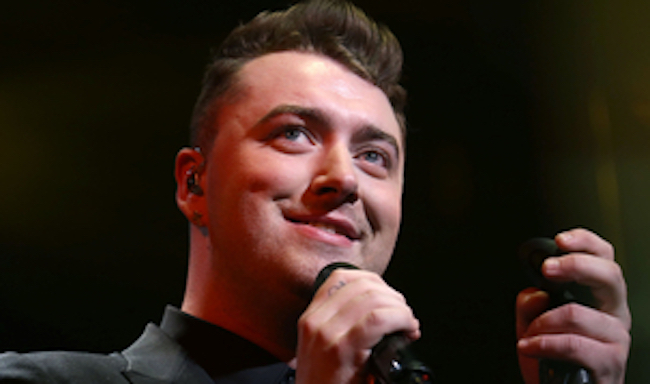 I happen to think that Sam Smith singing doesn’t merit the attention he gets. And his limited talent is what fails to excite me. I’ll dry Sam’s tears if he’ll sing me to sleep every night. You haters can just get over yourselves. Let’s hope it’s just his irises that are blue, not his eyeballs. If he cries a lot, he cries a lot for crissakes. It is called EMPATHY. That is part of what makes him such a fine songwriter and performer. It doesn’t stereotype him or gays as hysterics. AND I AM NOT HYSTERICAL ABOUT THIS I AM NOT! Sam Smith is the best. well at least we know SM is a sissy hysteric…. oh yeah….so are most of the “Sisters” on here too!